I’m very proud of the craftsmanship and quality of the products I make to sell under the Flock of Tea Cosy banner, and it makes my day when a sale or a query comes over the transom, especially from some place faraway. Some place like Finland, or Australia, or Italy, or the far west coast of the USA or even South Africa. It’s been the magic of the internet that enables the flock’s wares to be found by the relatively small, but, might I cheekily say, discerning, global group that appreciates these simple, cleanly designed, enduringly modern tea- and coffee-cosies. While most clients have mentioned it is the clean, minimalist design that brought them here, many have reported back their appreciation for this tableware being really good at its job. 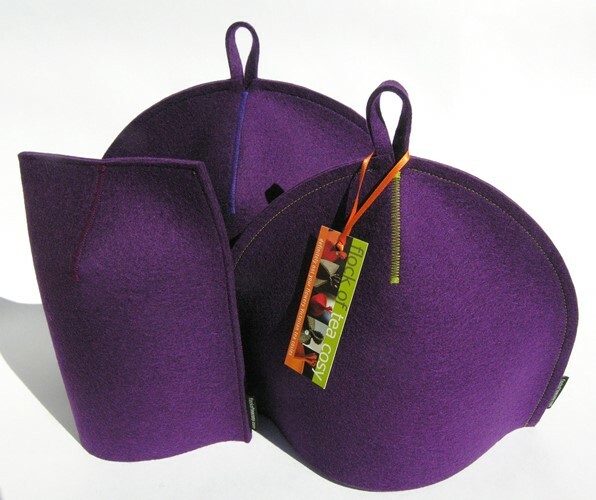 This is firstly due to the choice of fabric, dense wool felt, which is an excellent insulator. And secondly, because the Flock of Tea Cosy’s tea, coffee and mug cosy designs prevent heat from escaping which ensures the tea or coffee or hot chocolate stays hot. Some clients have mentioned they were drawn to the natural fabric — wool felt is a natural fibre fabric (baa-baa sheep) which means it will a) decompose when its life is over, and b) is a renewable resource (ie: the sheep survive and are sheared every spring). It will leave a minimal footprint and is therefore eco-friendly. On that note, the Puzzle Pieces (trivets, coasters, mousepads, etc made from the off-cuts) use green-thinking to reduce the waste from the cosy production. 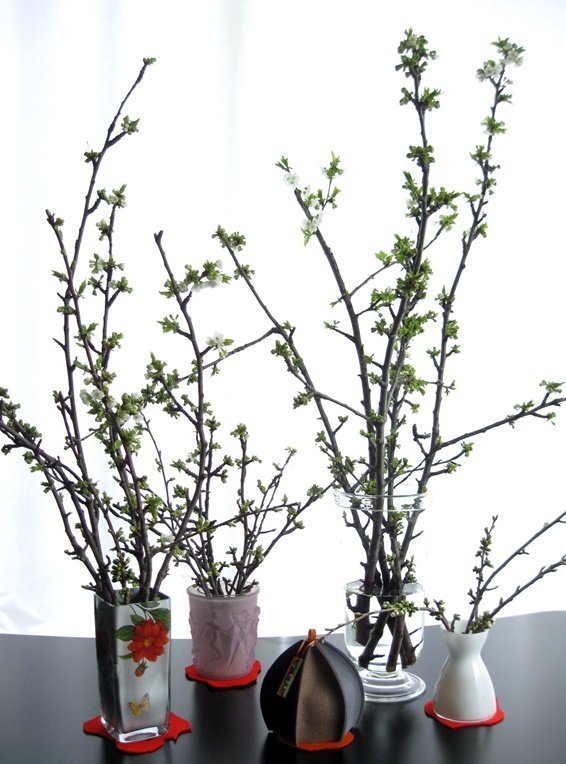 More eco-friendly products using wool felt’s natural insulating quality. Feedback also indicates notice of (thank you!) and appreciation for the excellent quality of the material used. 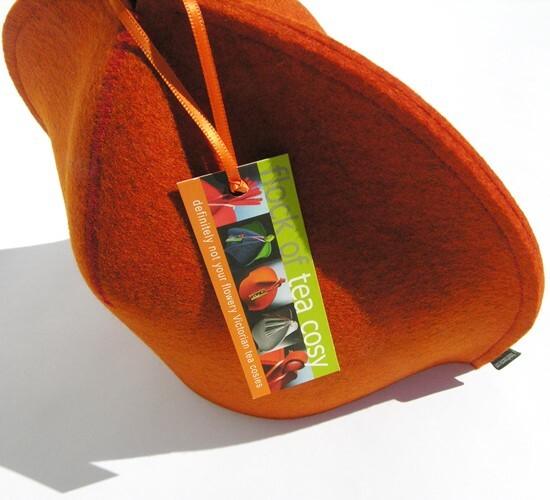 The coloured 100% merino wool felt that Flock of Tea cosy uses is the best in the world. It’s made in western Europe to exacting and eco-concious standards. It is sturdy and consistent in its production, which can’t be said for some other sources, and the colours are rich and colour-fast. The Industrial wool felt, made here in North America, is a technical grade also made to top industry standards. The high quality of the materials is paired with high standards of workmanship which ensure that each piece at Flock of Tea Cosy is well-made and made to last. Everything is individually handmade, all end seams are double-sewn, and the hang-tabs are securely hand-sewn on. 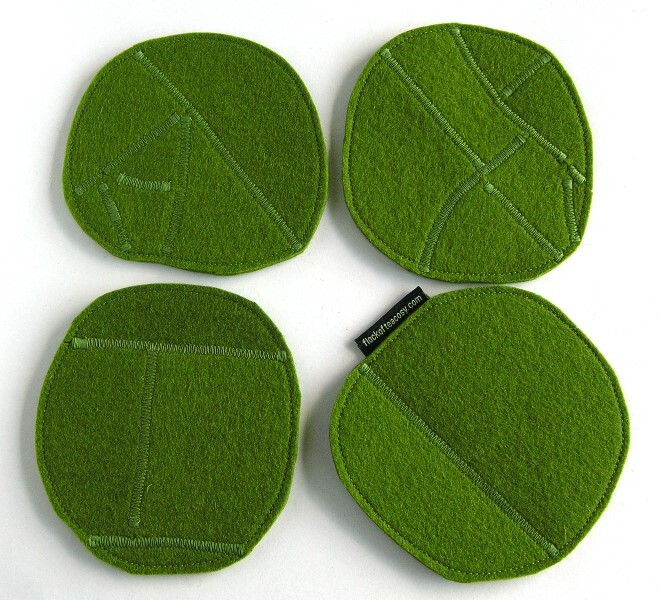 For the puzzle-piece trivets, coasters and table-toppers all seams are button-hole stitched at their end.